In May 1843, thirteen years after the Church was organized in the United States, four men were sent to be missionaries in the islands of the Pacific. In the 1950s, Latter-day Saint Tongan and Samoan families, including Cecil B. Smith and Mele Vea Ashley and their families, held Church meetings in Suva, Fiji. When the first missionaries, Elders Boyd L. Harris and Sheldon L. Abbott, arrived, they began working with this group and organized the Suva Branch (a small congregation) on 5 September 1954. Work proceeded slowly. Missionaries were limited by the multiple languages spoken in Fiji and by restrictions of only two missionary visas at a time. In January 1955, President David O. McKay had an airplane layover in Suva, and he met the missionaries and attended services at the Smith home. Twenty-eight people attended that day. President McKay urged missionaries to proceed and to purchase property for a building. The Church building that was later constructed was a nearly normal-sized stake (diocese) center, anticipating great future growth. Fiji was placed in the Tongan mission on 15 January 1958, and 93 people attended the conference that day. Later in 1958, 300 attended dedicatory services for the new building. About that time, the quota of missionaries was increased by six. Gideon Dolo was the first Fijian to serve a mission, leaving in February 1959. Growth continued in the 1960s. In 1966, 150 attended district conferences in Suva. Three years later, the attendance at conference reached 500, and the district was divided. The Fiji Mission was created 23 July 1971. In 1972, mission president Eb L. Davis expanded the mission into several new areas. By 1972, the building was filled with Fijians, Indians, Rotumans, Tongans, Samoans, New Zealanders, Australians, Europeans, and Americans. Educational efforts were also strengthened in Fiji. In 1969, a Church school was held in the building, and by 1973 it had more than 100 students. In 1975, The Church of Jesus Christ of Latter-day Saints Fiji Technical College was opened. By 1984, 372 students were enrolled. The Suva Fiji Stake was organized 12 June 1983, with Inosi Naga as president. 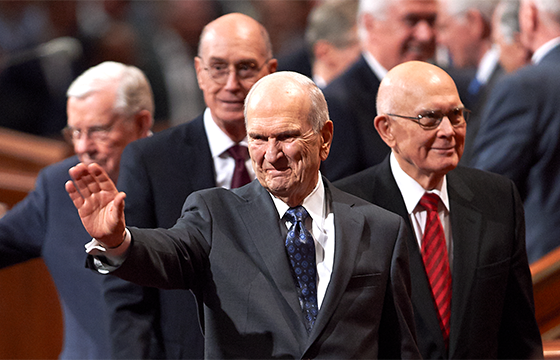 The Suva Fiji Temple was dedicated on 18 June 2000.